Some of the best views in Canyon Pines. 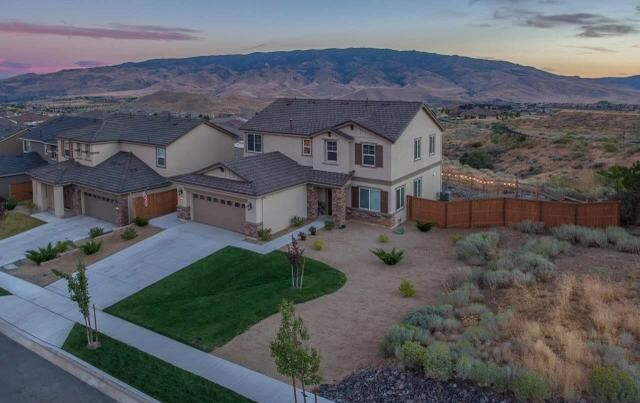 With only one side neighbor and Peavine Mountain out your front door, it doesn’t get much more private than this. Recently built Lennar home comes finished with beautiful hardwood floors, granite slab kitchen countertops, stainless steel appliances, upgraded cabinetry and a full complement of cabinets in the tandem garage. Home has a bedroom and full bath downstairs along with a great room and living/dining room. In back, the patio has amazing views of the Sierras.